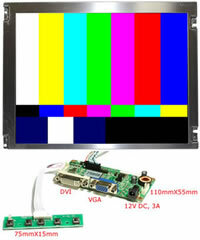 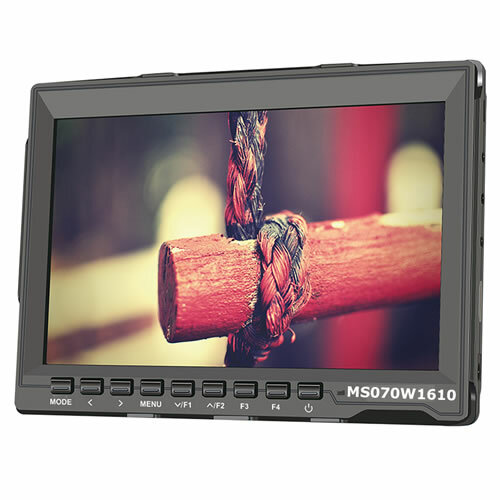 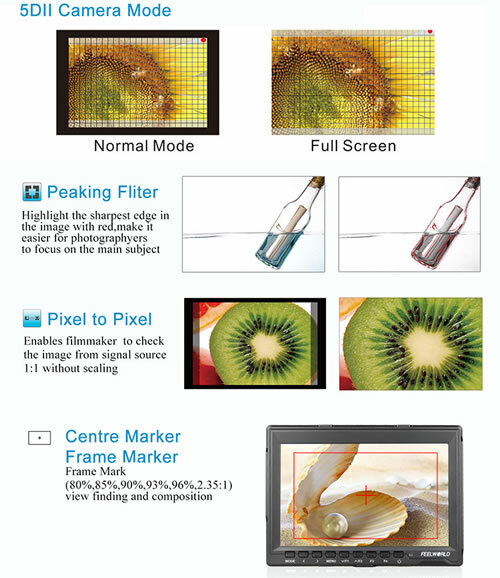 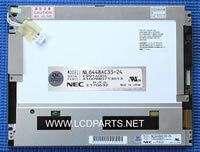 MS070W1610 on camera monitor equipped with 7” IPS panel. 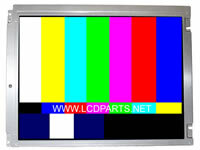 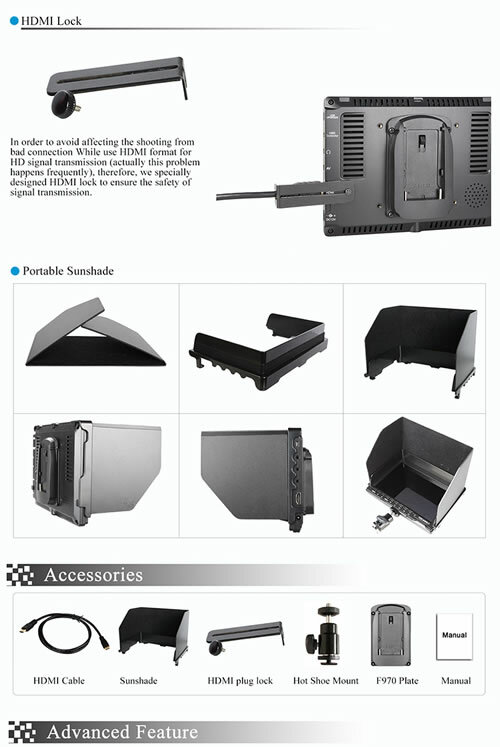 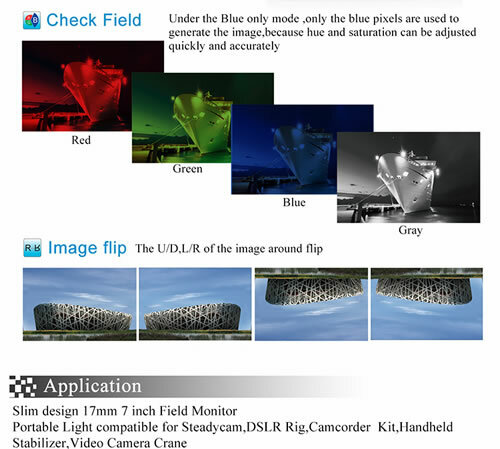 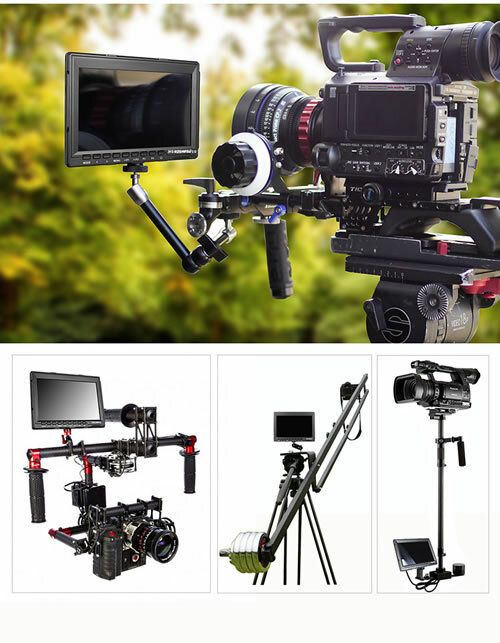 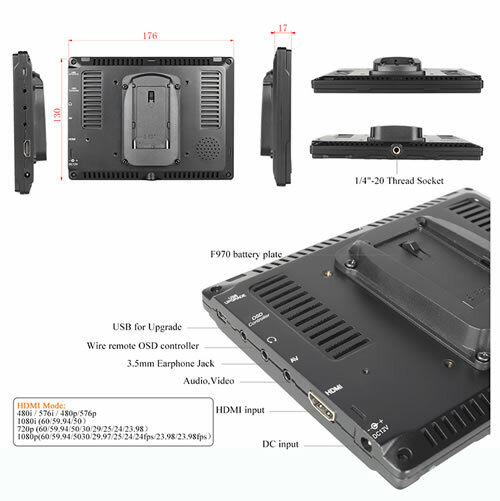 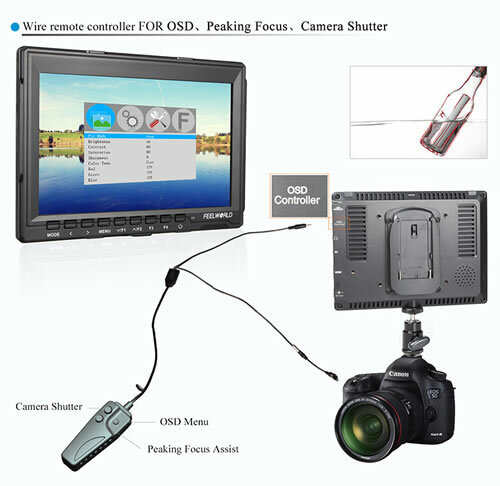 It is designed for professional HDV and HDSLR cameras. 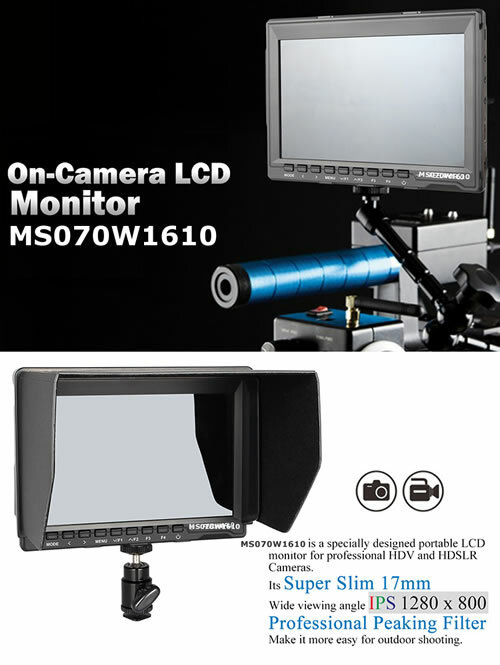 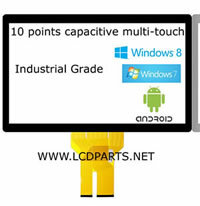 It is ultra slim with wide viewing angle and it is affordable.